When I first got married, grocery shopping was completely different. I’d go into the store, pick out a few things that were on sale and some things that looked tasty, and then I’d go home and attempt to put those things together. Sometimes I got lucky and prepared an incredible meal, other times my failed attempts ended in take-out. These days I’m a bit more prepared. I take time every week now to make a detailed meal plan with a long grocery list for every meal. 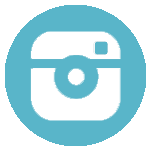 I fill my list with fresh fruits, vegetables and healthy meats as well as some quick and easy go-to freezer favorites. 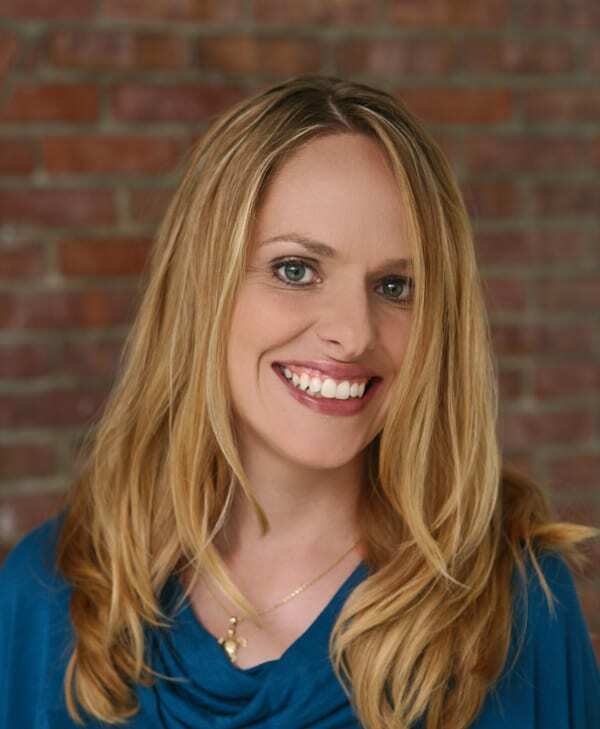 As a mom, I want to feed my family the very best. To do that I make sure every meal includes fresh fruit or vegetables and is wholesome and nutritious. I also want to make sure I’m serving my family the best meats too, so I always look for meats that are raised without antibiotics. That’s why I always trust specially marked Tyson® chicken (including nuggets, strips, Any’tizers® snacks, and drumsticks) because it’s raised with no antibiotics ever. 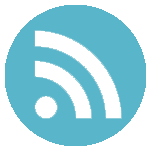 Check this this video to learn more! Tyson chicken products have a long-standing dedication to quality. Did you know they have been raising chickens since 1935? Tyson chicken is made with 100% all natural* ingredients (*no artificial ingredients, minimally processed) so you can feel good about serving their chicken to your family. 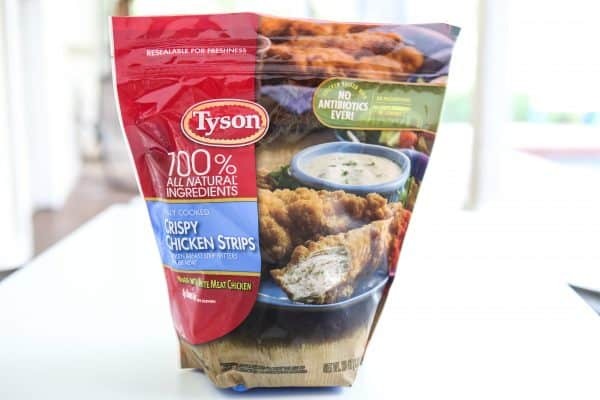 I always keep Tyson crispy chicken strips (shown above and below) in my freezer. They are so versatile and can be served in a salad, wrap, sub or just as a snack. My whole family loves them. I even make sure to keep a bag on hand when we have company because they make a great, easy lunch served alongside a simple salad or just some French fries that everyone loves. I got a great deal on these Tyson chicken products at Publix. 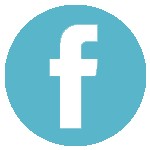 They have a great selection of different fresh and frozen specially marked Tyson chicken products that are raised with no antibiotics ever. You can rest assured serving these high quality products to your family. 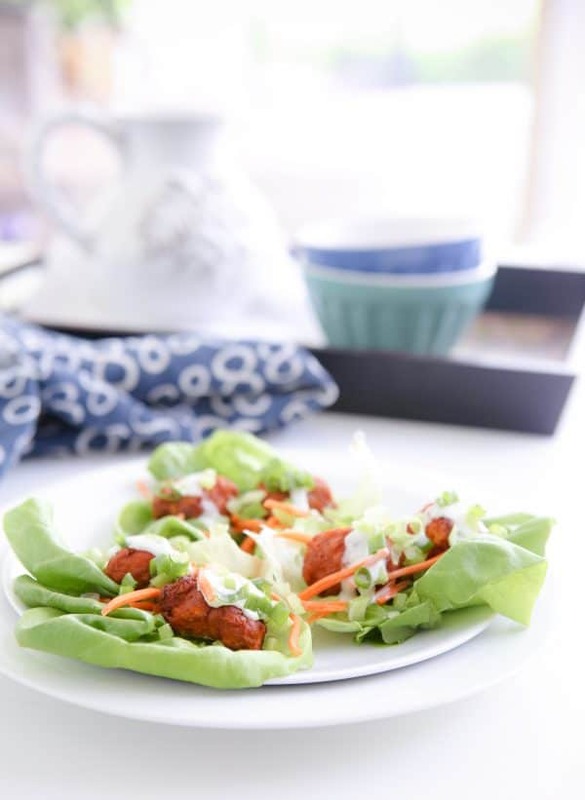 For the wraps (shown above) I used Tyson® Any’tizers® buffalo style boneless chicken wings. They have a nice spicy kick, but aren’t too spicy. Since my whole family loves spicy foods, I try to have at least one fun spicy dinner like this a week. To start, I take some Boston lettuce and then add the Tyson® Any’tizers buffalo style boneless chicken Wyngz. Next I just drizzle on a little ranch dressing. Next, I sprinkle on some matchstick carrots, chopped celery and diced green onion. It’s a super simple and quick meal you can have ready in no time at all. These Tyson® Any’tizers snacks also come in other great flavors like zesty garlic parmesan, honey BBQ and sweet and spicy bourbon that are also great starts to simple recipes like this one. There’s even a flavor with General Tso sauce that you can pair with rice and a steamed vegetable for a quick and easy Chinese dinner for the family! Be sure to look for these specially marked, no antibiotics ever, Tyson products on your next trip to Publix. 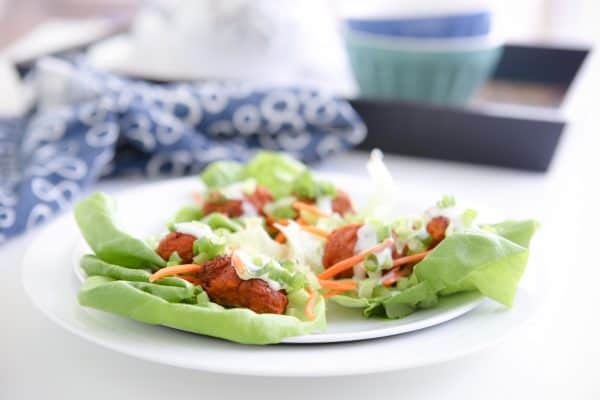 There are lots of frozen options that you can stock your freezer with for simple meals like these Buffalo Chicken Wraps featured here. The Tyson chicken strips and nuggets are also great options to have on hand for the kids and simple lunches and dinners. 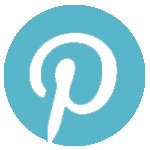 I find them invaluable for my little picky eaters! 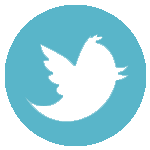 Tyson products also include specially marked fresh chicken options that are perfect for your everyday cooking. Delicious family meal planning is easy when you start with wholesome, nutritious meats raised with no antibiotics ever! 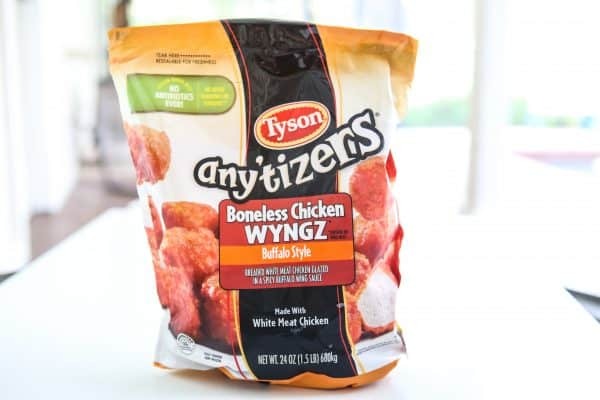 Cook Tyson® Any’tizers buffalo style boneless chicken Wyngz according to package directions. 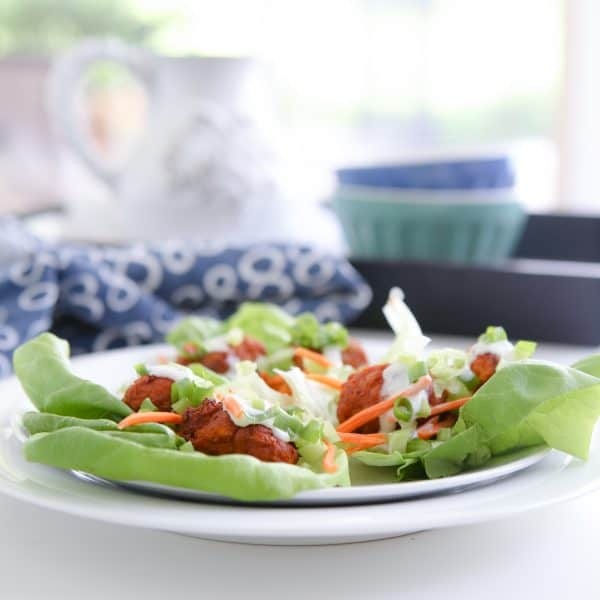 Arrange three pieces of Boston lettuce on each plate. 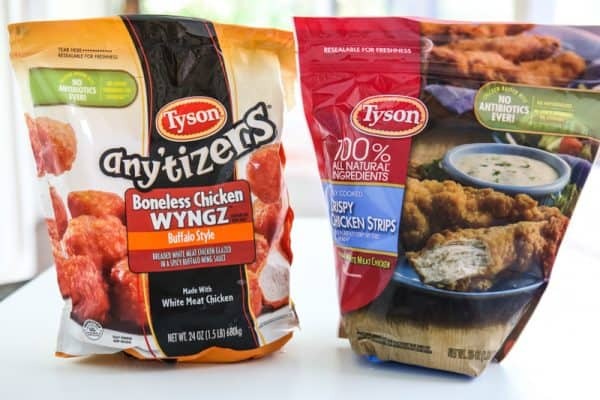 Top with two Tyson® Any’tizers buffalo style boneless chicken Wyngz. Drizzle ranch dressing and then top with matchstick carrots, celery and green onion.